HomeTechnicalData CenterTop 5 reasons Why Cisco UCS with NVMe. 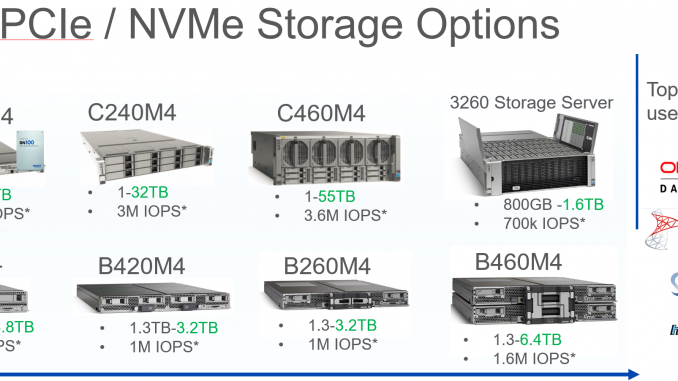 Top 5 reasons Why Cisco UCS with NVMe. 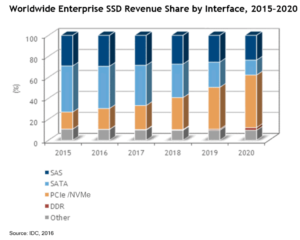 Is the NVMe market growing ? 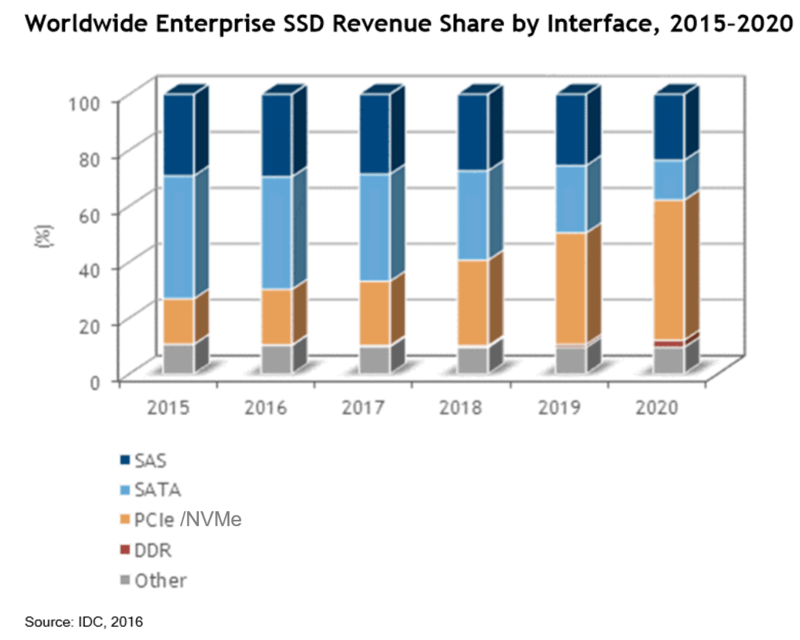 According to IDC the NVME market is growing very fast in the next 3 years. SATA and SAS drives (Spinning disk and SSD) will be substantially less in the future. Why is it growing ? All hardware devices for storage relied on SCSI commands. These commands are processed sequential. A nice example is one robotarm that can pick something from 5 tables. The robotarm can do this very fast, but still he manage to pick up one item at a time. You can compare the robotarm with SCSI. SCSI was designed for spinning disks only. NVMe is not 1 robotarm for the 5 tables, but thousands robotarms. You can process a lot of items at a time. That’s the biggest difference between SCSI and NVMe. The PCIe bus is chosen to be the interconnect between the CPU and NVMe storage. Right now there are in the box drivers for NVMe and it’s getting cheaper and cheaper. So why not have a look at it when you’re going to replace storage! Because of the design of Cisco UCS blades and rackservers, no special FAN kit needed. 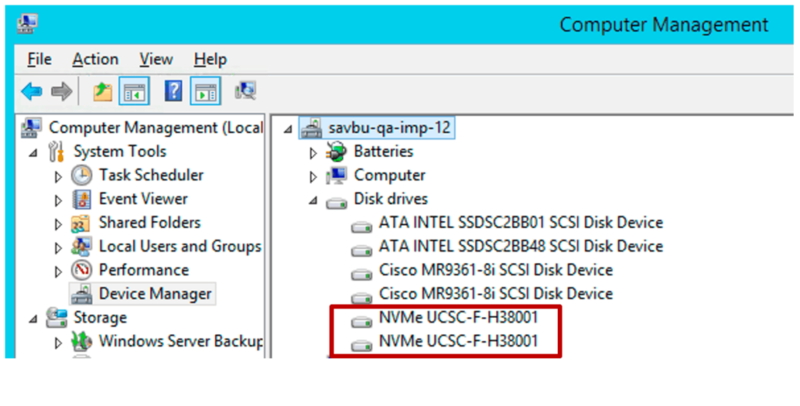 UCMS and CIMC can give you information about the NVMe storage. 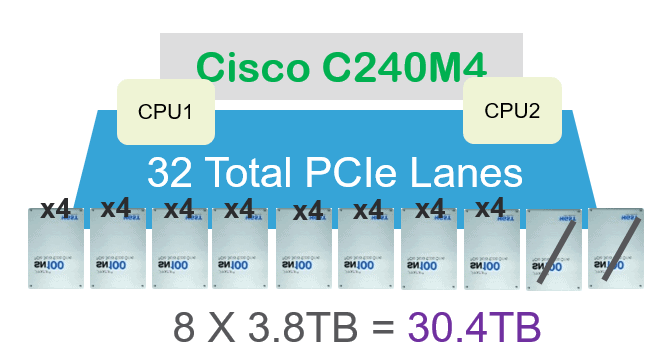 All 32 PCIe lanes are uses and are not undersubscribed. More capacity with less drives. Because of the way the server is designed, it’s possible to put 2 GPU in a server with NVMe without any cooling problem ! Cisco UCS is managed by Fabric Interconnects. This is the “Heart” of the UCS Domain. It doesn’t matter if you connect Blades, Rackservers to it. 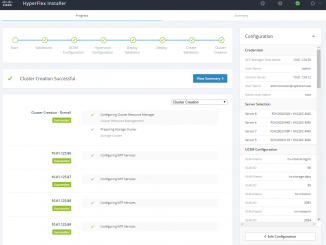 UCS-Manager can manage all servers with one GUI interface so you got the same userexperience for all formfactors. 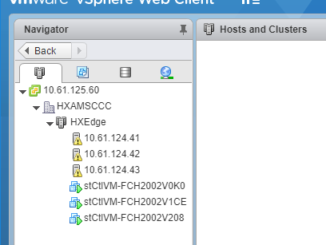 UCS Manager is the unique because it combines Network, Server and Storage into 1 management interface for the whole UCS Domain. The NVMe will be shown as a Storage controller and everything you want to know about the devices is displayed here. Not only the firmware version but also the temperature of the devices, the Life Cycle and howmuch it is affected the Thermal Throtting and the Flash life left status. CIMC view and you can see this also in the UCS Manager. The NVMe will be seen as a PCIe devices. The “drives” on the PCIe bus will be seen and managed by the OS. You will see the NVMe as local storage. 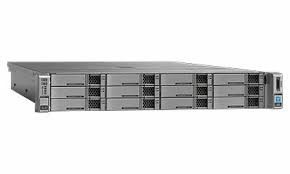 Top 5 : Why Cisco UCS Rack Server ? Training : Are you the New Hyper Converged Admin ?